In the Existential Roundup for May 30, 2014, I referred to an article that had completely incensed me, one that blamed therapy culture for Elliott Rodger’s homicidal rampage a few weeks ago in Isla Vista, CA. In this article, written within days of the tragedy, the author concluded that because the information had come out that Rodger had been in therapy since the age of eight, and had committed these atrocities not only while under psychiatric care, but also, the author suggested, because of the therapy culture in which he was immersed. Ever since my friend Candice Hershman brought this article to my attention, I have been incredibly disturbed by its premise, but not necessarily for all the expected reasons. Yes, I refuse to believe that “therapy culture” is responsible for the deaths of six people in California. Such reasoning in incredibly reductionistic, as I have argued on these pages before. And as to whether a “culture of therapy” exists that leads to a culture of narcissism and navel-gazing, I would be willing to argue that while such cases exist, I wouldn’t call it a “culture of.” Our society may be narcissistic, but therapy is certainly not the only reason. Again, it is too reductionistic. The part of this article that actually kept troubling me was that if Rodger was in therapy since he was eight, and again, if the information here was true, at some points was seeing his therapist daily, what was his relationship with his therapist like? Was he actually DOING therapy or did he just HAVE a therapist? When a person realizes he has been deeply heard, his eyes moisten. I think in some real sense he is weeping for joy. It is as though he were saying, “Thank God, somebody heard me. Someone knows what it’s like to be me. When I have been listened to and when I have been heard, I am able to re-perceive my world in a new way and to go on. It is astonishing how elements that seem insoluble become soluble when someone listens, how confusions that seem irremediable turn into relatively clear flowing streams when one is heard. I have deeply appreciated the times that I have experienced this sensitive, empathic, concentrated listening. These Carl Rogers quotes really spoke to me because I have personally had the experience of both DOING therapy with someone who has really heard me and seen me, and HAVING a therapist who just doesn’t get me. 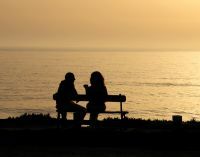 These experiences powerfully influence how I am as a therapist—indeed, how I am with other people generally. The difference is striking. If you are in a room with therapist who cannot see into your soul, no matter how well-meaning and kind and gentle-natured, no therapy is going to happen. However, when you are heard and understood by someone who sees into your heart and soul, huge shifts can happen, as Rogers said. Worlds can move, blockages can clear. Maybe not instantly, but you can feel the potential, and it is something that goes beyond words, beyond the intellect, beyond explanation. My suspicion is that while Elliott Rodger may have had a therapist, he didn’t actually engage in therapy. He didn’t expose his soul. Perhaps he never felt what Carl Rogers described. These are things we will never know. However, we can learn to pay attention to the differences between engaged clients and clients who are just marking time. What is happening in those latter types of relationships? How can you explore that relationship in the therapy room? How can you help them feel heard and understood? Those questions are so much more important than whatever goals or treatment plans the organization you work for might have for your therapy. Indeed, I have wept for joy at being heard. And it was very very very good!